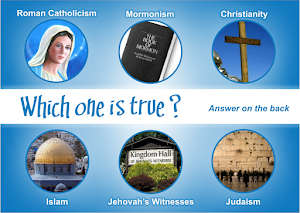 UKRepent.com: Can Christians Remain In The Roman Catholic Religion ? Can Christians Remain In The Roman Catholic Religion ? "This is a question that comes up often as we minister to people in the Catholic religion. Our first response is to ask, "Why would anyone want to stay in a religion that deceives people about where they will spend eternity?" When a Roman Catholic hears the true Gospel revealed in Scripture, he/she must repent (change their mind) concerning the false gospel that they were embracing in order to believe the truth. So there must be a recognition that the Catholic religion was leading them down the broad road to destruction. They must change their faith to get on the narrow road that leads to eternal life. Secondly, born-again Christians must recognize that they are accursed by the Roman Catholic Church by its many anathemas. 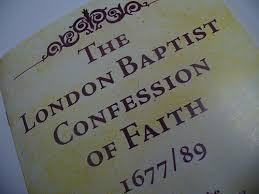 "If anyone says that baptism is ...not necessary for salvation, let them be anathema" (Council of Trent, Session 7). Another one states, "If any one says, that, after the grace of Justification has been received, to every penitent sinner the guilt is remitted, and the debt of eternal punishment is blotted out in such wise, that there remains not any debt of temporal punishment to be discharged either in this world, or in the next in Purgatory, before the entrance to the kingdom of heaven can be opened to him; let him be anathema" (Council of Trent, Session 6). Still another anathema states, "If anyone denies that in the sacrament of the most holy Eucharist, the body and blood, together with the soul and divinity, of our lord Jesus Christ and, therefore, the whole Christ is truly, really and substantially contained...let them be anathema (Council of Trent, Session 12). Regarding the Mass, "If anyone says that the sacrifice of the Mass... is not a propitiator sacrifice...offered for the living and the dead, for sins, punishments, satisfaction and other necessities, let them be anathema" (Trent, Session 12). Why would anyone want to remain in a church that curses him or her? Born-gain Christians are called to walk according to the truth and worship God in Spirit and Truth. This is impossible to do in the Roman Catholic religion. Christians must turn away from every falsehood and embrace the doctrines of Christ. No one can honor God by remaining in fellowship with a religion that embraces so many false doctrines."